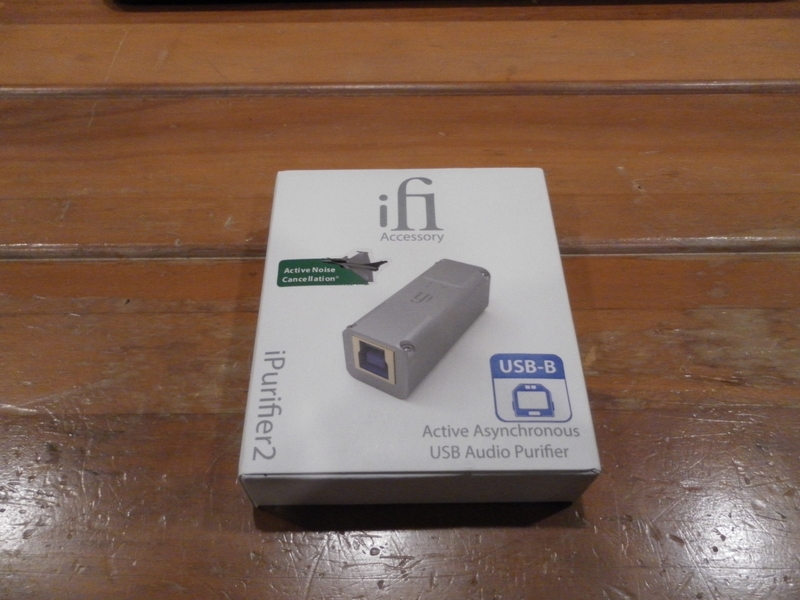 I received my IFI Purifier 2 yesterday and wanted to share my initial findings with you all. First it is packaged very well and its construction is solid with its all aluminum housing. I inserted the Purifier 2 in between my Marantz SA8005's USB port and my Starlight 7 USB cable which is connected to my Quantum Byte solid state music server. During listening the first thing I noticed on my system is more articulate bass with better extension. Drums have better transient or faster response with more power but without seeming unatural. There seems to be more definition in high frequencies with vocals being very natural and detailed all without any harshness. Sound stage depth and imaging is better with some music moving forward from the speakers closer to my listening position. The acoustic guitar in Pink Floyd's, The Wall, Goodbye Blue Sky really moved forward and felt like it was in the room with me. Overall a very pleasant listening session that I hope to reproduce tonight. I am pretty sure it's a keeper. Great to hear first hand experience Bob. I had the original and it did generate improvements. I've had positive experiences with all of their products so far. I have been interested in trying one out. So its like the jitterbug but supposedly better yes? How long did you let it burn in?. The jitterbug is designed after the original ipurifier. IFi has been in this game for a long time, audio quest just has better marketing. It's burning in as I use it. It was brand new when I wrote the first post. Thanks both. So it might even im9IRBCUore after a good 200 hours are on it. I think getting the digital side better in my rig is going to be my next step and I might need to give this a try. 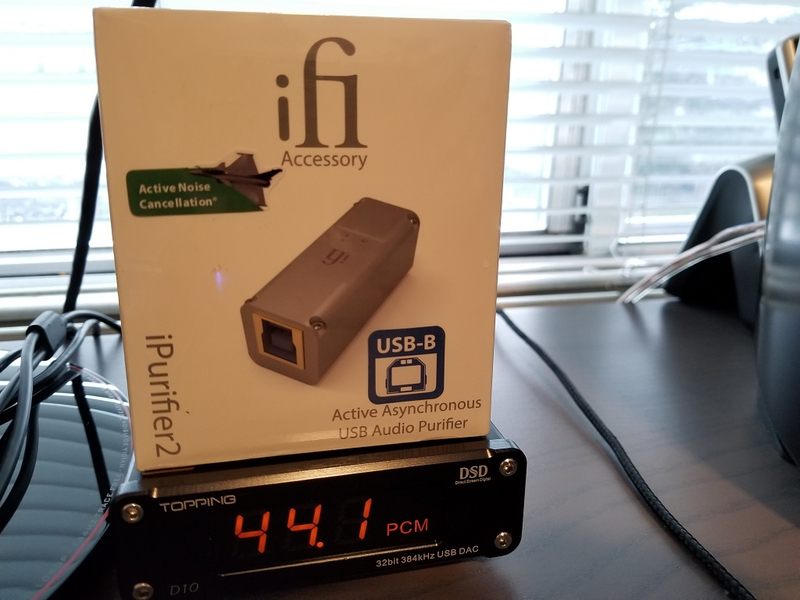 I wanted to update this thread with my latest experience with the IFI Purifier2. A year ago I decided to keep things as simple as possible when I installed the four 20 amp dedicated power circuits so I removed the IFI. I never reinstalled it until just now. During the last year I have upgraded the Hafler 500 with new driver boards and power cord, upgraded power cords to the Mojo power supply and Marantz SA8500, added many acoustic panels and last but not least I introduced the Modwright preamp with an upgraded power cord. Now that the power cords have settled in I decided to add the IFI back into the mix. 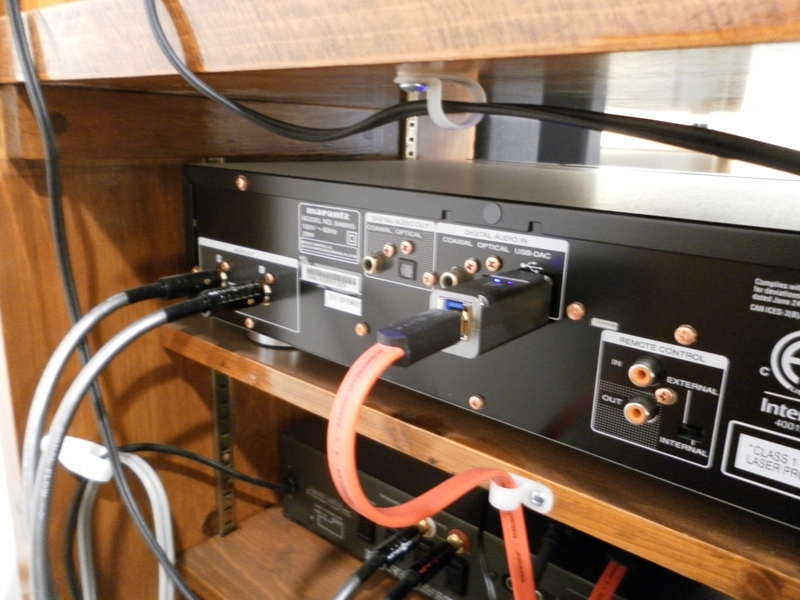 It is installed in the same place as before between the USB cable and the Marantz (used as the DAC). This time the results are very noticeable with tighter bass, really spectacular imaging and everything forward. After listening for several nights with and without it in the system I find that I love the imaging and tone but it is a little too forward and the bass can be a little thin with some recordings. An example of this is JB "Blow by Blow". I thought about it for a little and decided to move the speakers back an inch towards the wall. They have been at 7" for a long time and the last time I moved them to 6" I did not like the results. But I don't have the same system as a year ago so I gave it a try. Wow! The bass is plentiful but tight with the image moved back and the soundstage is w-i-d-e. I played many songs last night and was grinning from ear to ear. If you are on the fence with this one give it a try. At $120 list it may be worth the risk. It sure is working in my system. @machone wich one do you have, they have a few pruducts with similar if not the same name? Thanks @machone for the write up. Just ordered one! @verb Yeah, let us know. Running iTunes lossless format from a recent remastered release. Nearfield setup in my office. Same volume settings, native sampling rate, just as before without the iFi. Right out of the box, I immediately noticed a difference. Bass was noticeably extended, tighter. Drums were crisper. Highs were further extended as well. I was hearing more cymbals than without the iFi! I'm not an audiophile, but dare I say soundstage extended as well? For my nearfield setup, even at moderate listening levels, this nifty little device will bring more out of your source material for sure! I'm looking forward to more experimentation with the baby! Thanks @machone and @dskip for the recommendation! OMGWTFBBQ?! Now I need one of these babies! I really like it! I spend most of my evenings (unfortunately) on the computer. 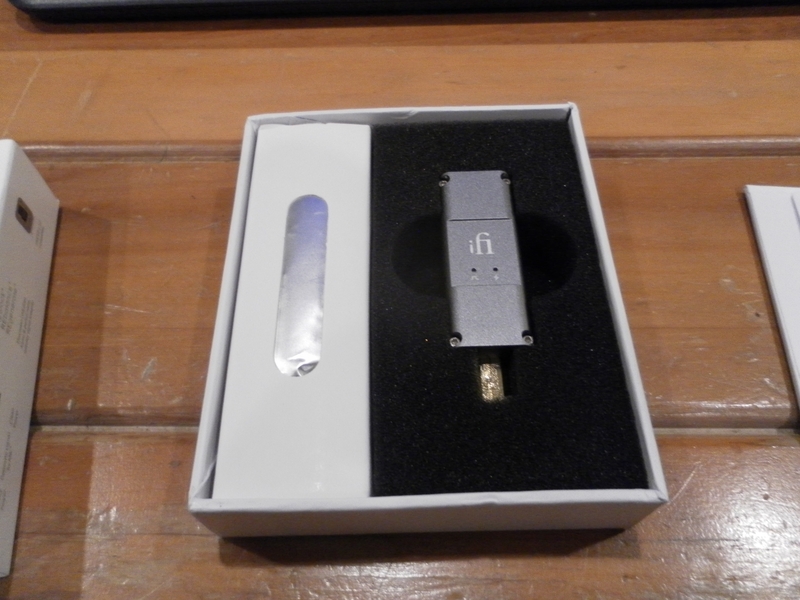 WAF dictates moderate listening levels, so this little stick just brings out more. Oh what? We needs ta TALK. You put her on right now, PUT HER ON THE PHONE THIS INSTANT. WAF dictates moderate listening levels, so this little stick just brings out more. No thanks! I want to keep her! I just ordered one. Kindof funny that the $90 DAC I'll be using it with costs less than it did ($120). 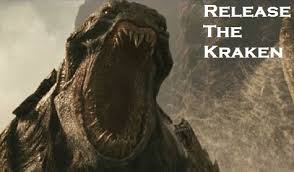 Gotta tame the beast before you let it out of it's cage! Your clock radio has the wrong time on it. Are you sure about that? When I'm at my computer it's always "44.1 o'clock". If only I could make the screen say 420 and post a pic of it for Jesse. 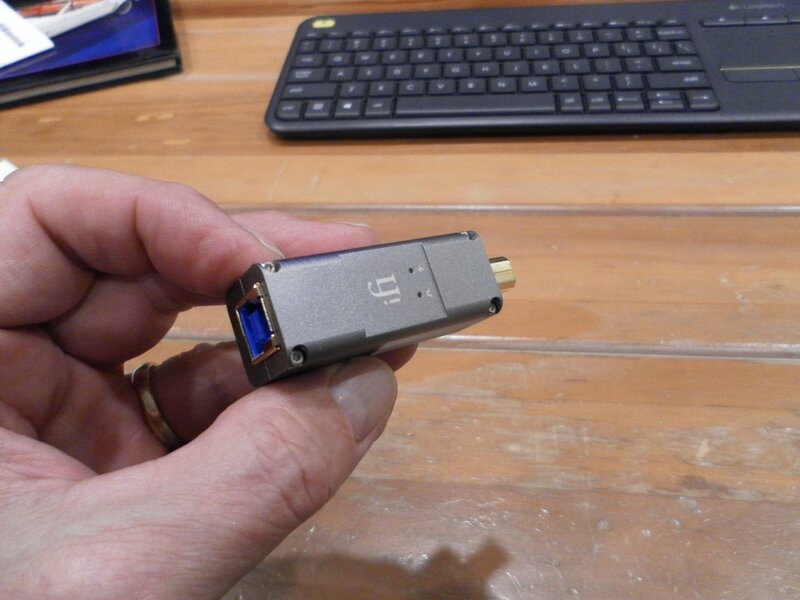 Have you guys read up on the iFi "Grand Slam" combo of the iFi Gemini cable and iFi iUSB power? I find myself back here this AM after stumbling across, in other reading, a little device called a/the USB Disruptor, which is designed to separate the power from the USB, provide new power, and deactivate the conducting hardware of the USB cable. Got me thinking about whether iFi addresses this, and, of course, they have. iFi has their version of this approach (while apparently offering additional tech) in their recommendation of the iPurifier2, Gemini cable, and iUSB. Looks like they're even offering power adapter/wall-warts. Anyone considered this route? 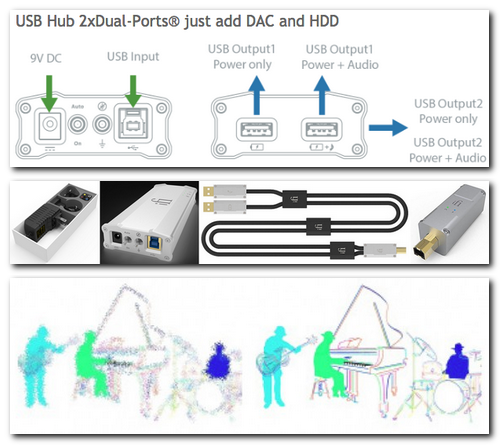 Seems to make a lot of sense for the best potential in USB DAC audio. The iPurifier2 alone seems to be stopping short of potential gains of separating power and removing unnecessarily conductive paths from the source to the DAC.